At UIC, diversity is our strength — our competitive edge. Promoting equity and inclusion are the cornerstones of UIC’s vision of being nationally recognized as a diverse learning and working community where human differences are embraced; and where neither difference nor disadvantage stands in the way of intellectual and professional achievement. Our realization of this vision requires an unwavering commitment by everyone to promoting a climate of respect, tolerance, and inclusion. 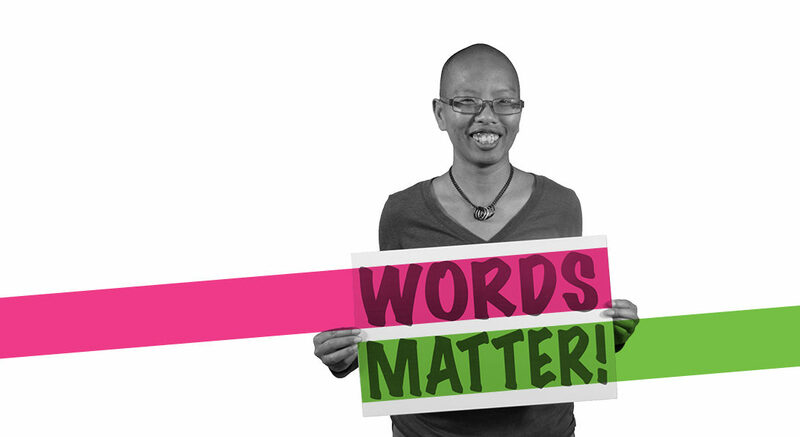 Recognizing that achieving a climate of inclusion takes effort, knowledge, and skills, UIC’s Office of Diversity has launched a campus-wide inclusive language campaign called “Words Matter!” The campaign is designed to promote awareness of and intellectual engagement with the power of language. Words Matter! seeks to foster understanding, open-mindedness, and mutual respect by challenging us to consider the impact our use of language has on others, particularly when the words we choose amplify our differences and reinforce inequities. The purpose of the campaign is not to tell people what they can or cannot say (i.e., inhibit free speech) but rather to acknowledge that on a diverse campus each and every one of us has a responsibility to be aware of the power of words in promoting a welcoming and inclusive campus environment. Words Matter! is also designed to offer opportunities for UIC campus members to engage with the concept of inclusive language and its connection to identities, inequality, and power through a workshop. The workshop is open to students, faculty, and staff across campus who are interested in learning more about the power of word choice and how to make their classrooms and workplaces more inclusive. Workshop participants will engage in dialogue with their fellow campus members and have an opportunity to discuss strategies for change.